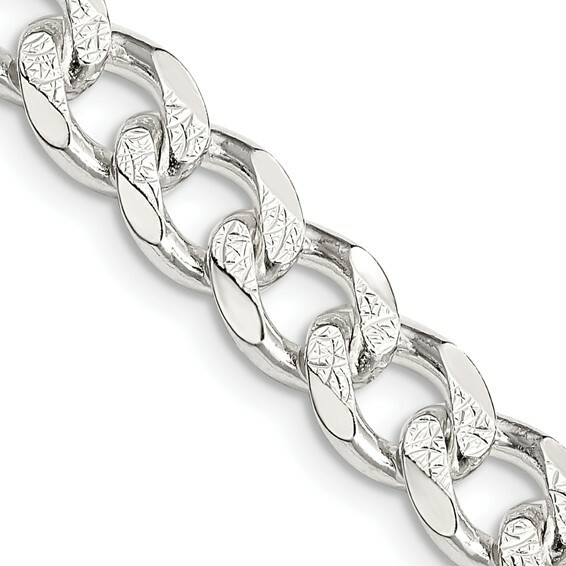 Polished, solid sterling silver pavé curb link bracelet is made in Italy. Length: 9in, width: 8mm. Weight: 25.29 grams. Lobster clasp.